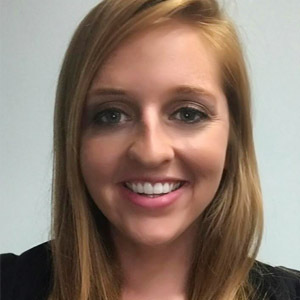 Sarah Minges | StarMedia Productions Inc.
A native of Cincinnati, OH, Sarah attended the University of Cincinnati where she received her bachelor’s in Communications and Public Relations. Prior to graduating, Sarah studied abroad in Madrid, Paris, and Belize! Upon graduating, she accepted a position with The Owens Group, a boutique Public Relations firm specializing in high end Hollywood feature film releases. She quickly rose to top of the firm as their Senior Lead Publicist handling their top clients including Hollywood studios such as Disney, Warner Brothers, Sony, TriStar, Lionsgate, Focus Features, CBS, and Fox Searchlight. She strategically planned and implemented the strategies to promote their films throughout the Midwest! Sarah delivered on films such as “Guardians of the Galaxies”, “Spider-Man Homecoming”, “Saban’s Power Rangers”, “Cars 3” and “King Arthur” to name a few. Sarah was responsible for promoting these feature films as well as implementing red carpet events and screenings with VIP guests, celebrities and professional sports stars! Sarah also was the liaison between her Hollywood clients and CinemaCom in Las Vegas. Needless to say, Sarah has a background and passion for the spotlight! She has relocated to South Florida where she will continue to Reach for the Stars as a Senior Producer for StarMedia Productions!